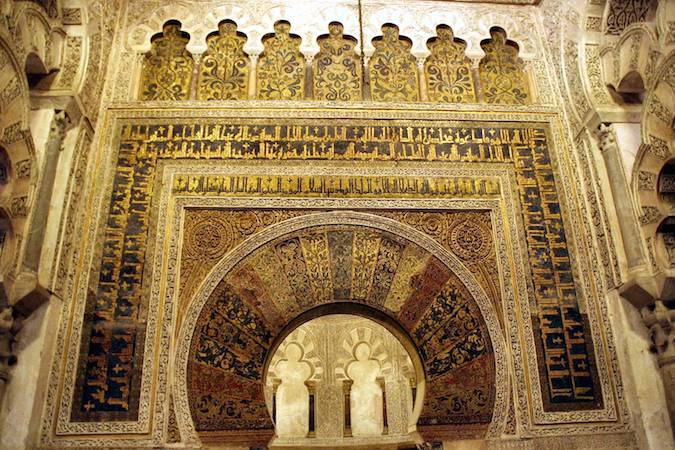 Experience this spiritual journey to the heart of Al-Andalus to rediscover the lost kingdom of Muslim Spain. This Islamic Spain tour is truly one of the most spiritually uplifting journeys you will ever embark on. Witness the height of the Islamic empire, the golden age when Islam was at the forefront of science and technology. 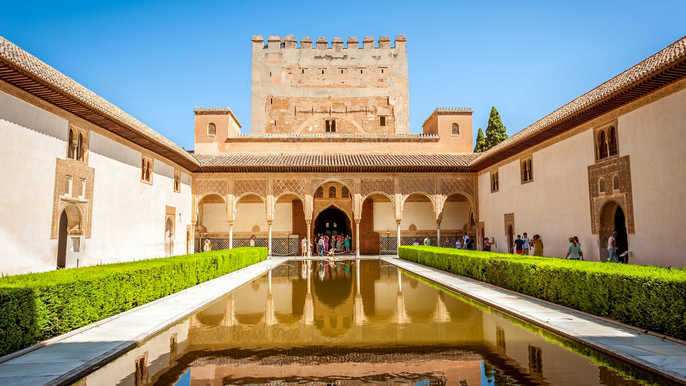 Upon your arrival at Malaga airport we will transfer straight to Cordoba, the legendary Muslim city that was the Capital of al Andalus (approximately 2 hour drive). Upon arrival we will check into the hotel. There will then be time to freshen up before a short briefing followed by a short evening tour in the city (evening tour to be confirmed). 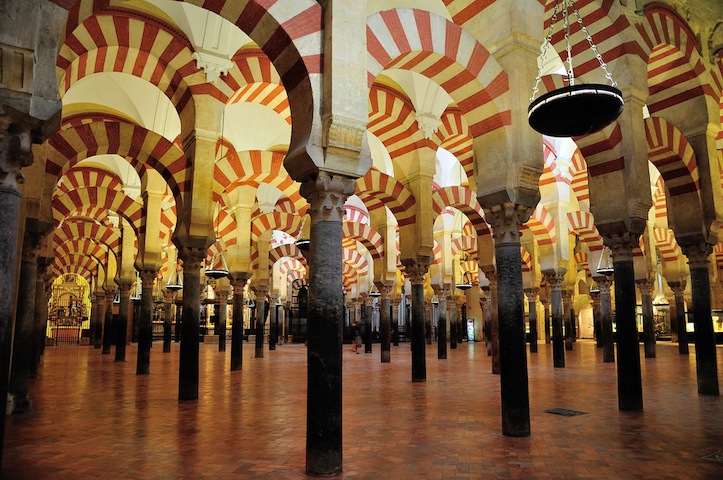 After breakfast we will take a guided tour of Cordoba Mosque, one of the most important and largest Mosque in its time. After taking lunch we take a walk through the old Jewish quarter and then across the old Roman bridge for a visit to a fantastic interactive Museum on Islamic Spain (approximately 4-5 hours). In the evening we will be visiting local Spanish Muslims on their farm in Almodovar for dinner (to be confirmed). After breakfast we will leave for Seville stopping on the way at the archaeological site of Madinat al Zahra. The city built by the Caliph Abdul Rahman III. Here we see the Palace ruins and take a visit to the new exhibitions and museum (approximately 2.5 hours). 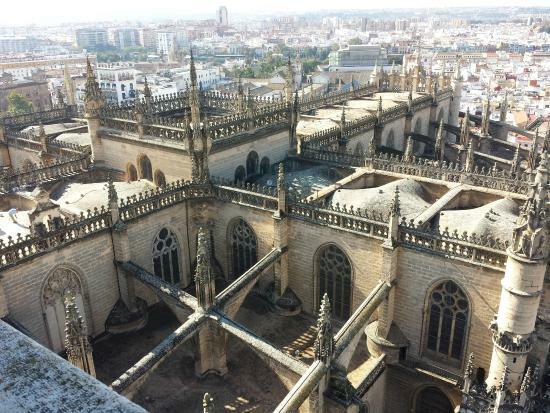 We will then continue to Seville (approximately 2 hours drive). 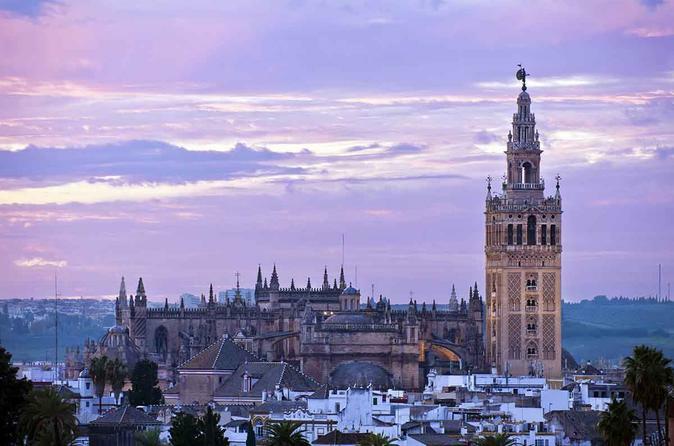 Upon arrival we will take a guided visit to Seville’s historic center which will include the Royal palaces and gardens built for a Christian king in Islamic Architecture and its Giralda Tower, once the biggest Minaret in the world (approximately 2 hours). It is said the Muezzin used to ride up on a horse to call the Azan. There will then be free time for shopping and to explore the city. In the evening we will make our way to Granada, the last Muslim Kingdom which held out for 250 years before the inevitable fall in 1492 (approximately 3 hours drive). Upon arrival we will check into the hotel for free time. After breakfast we will make our way to the Alhambra, usually the highlight of the tour for many. Nominated a wonder of the world the visit to the Palaces, gardens and fort will leave you breathless (approximately 3-4 hours). After this you will have free time for the rest of the day to do some shopping and explore the Albaycin. After breakfast there will be free time before we make our way up to the new Mosque for Jummah. We will then depart for the Alpujjara along the route of Nasrids. On the way we will stop at the old Muslim bridge and the Muslim fort/castle which is the location of one of the last stands made by the Muslims of Alpujjara. We will have a chance to interact with the local Muslim community while having dinner at a Muslim restaurant run by Spanish Muslim revert (approximately 4-5 hours). We will then return back to Granada. All transport including airport transfers. He has fast become Spain’s most popular tour guide. As a specialist on Islamic Spain his knowledge, passion and drive make him a highlight in it’s own right. The story of Islamic Spain is about the rise and fall and one that has been missed out of history books. Therefore it requires a special story teller to make the history come alive. “The names of the cities, the road names, the architecture and the people. There was just something very Islamic about the whole country” – When on his first voyage to Spain as a young boy with friends. Affordable direct flights currently available with most budget airlines. Please contact us if you would like help in booking flights. Prices are shown as per person for double room basis. For a single room please add single supplement to double room cost.